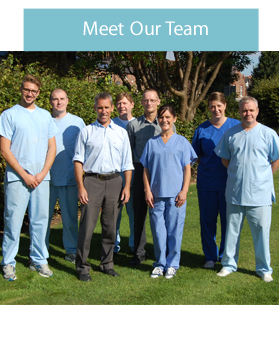 Brooklands Dental Laboratory was established in 1960 and the current owner Mark Greaves started his working career there as an apprentice dental technician. Mark progressed to become a partner and eventually the sole owner some 14 years ago. Mark is a member of The British Institute of Dental & Surgical Technologists(BIDST) and the Besford Club, a study group that meets bi-annually, which is mentored by Dr John Besford a world expert in prosthetics. Through Marks leadership the team at Brooklands are both fully qualified and importantly full experienced in all aspects of prosthetics. All of the team are registered with the GDC as shown on their website. The dental laboratory is registered with the Medicines and Healthcare Products Regulatory Agency MHRA (Reg. no. 000728) having been registered in 1997. Brooklands Dental Laboratory participates in the Dental Appliance Manufactures Audit Scheme (DMAS). DMAS audits confirm that quality standards meet all of the requirements of the MDD and MDR. The recent relocation of the Laboratory to Attenburys Park provided the opportunity to build a dental laboratory facility which fully meets and exceeds current industry standards.